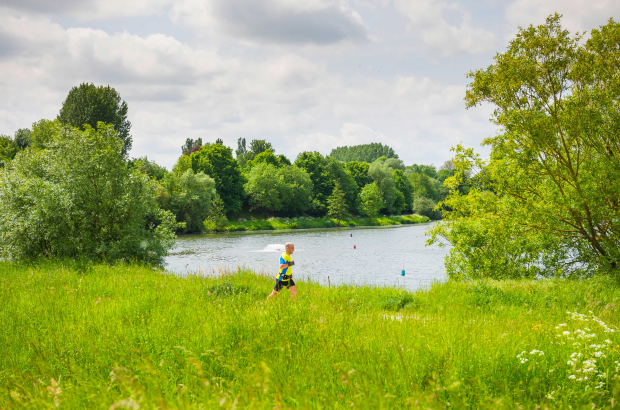 Brussels environment minister Céline Fremault (CDH) has ordered a study into the possibility of a natural swimming pond in the capital. The study will look at existing bodies of water to see if a natural swimming pool can be created from one of them. Brussels is lacking in open-air swimming options, which led to a campaign and temporary swimming pool in front of Bozar last summer. A natural swimming pool is one that is cleaned by plants and requires no chlorine. Antwerp has such a pool. Fremault told Bruzz that Brussels is looking to turn an existing body of water into a swimming pond rather than building a new one. The study should be finished by the end of the year. The Pool is Cool campaign praised the decision but made it clear that it would also welcome a regular swimming pool in the capital. The group is planning a master class on swimming culture during the upcoming Brussels Water Days. The week-long event kicks off next Tuesday, 20 March, and puts a spotlight on Brussels’ natural water sources, including ponds, canals and streams. It includes guided walks, picnics on the water, family events with entertainment and information on ecology and talks on water distribution and treatment. would be great. too bad it's taking so long.